Happy Thursday! 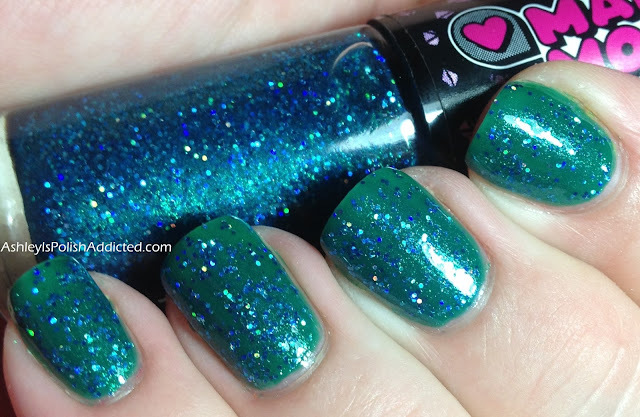 I have a super blingy post for you tonight! 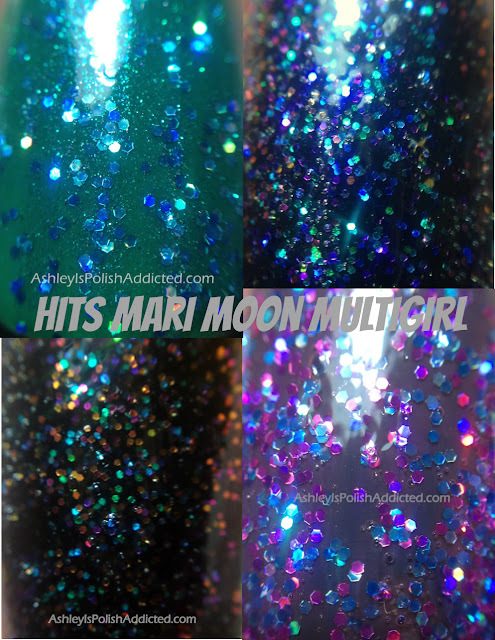 The HITS Mari Moon Multigirl Collection which consists of four gorgeous glitters! 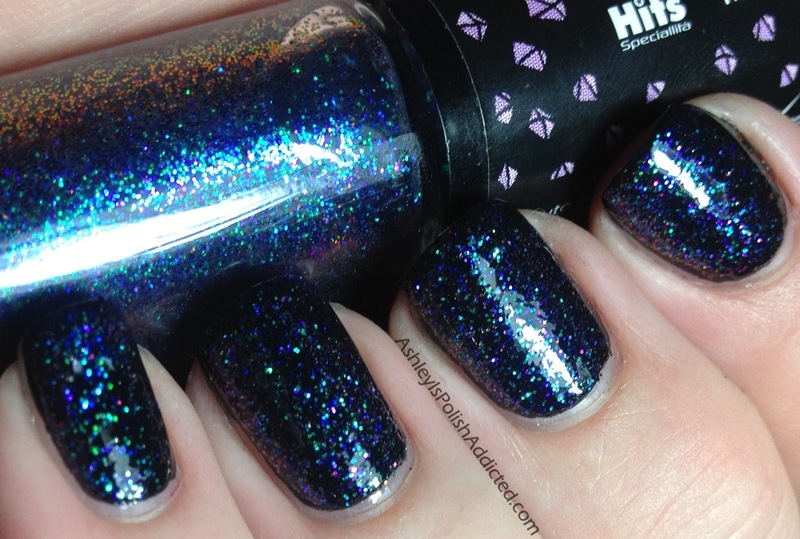 Space Grunge - This one is bright blue holographic glitter in a blue base with a gorgeous green shimmer. I have layered one coat over Girly Bits Emerald City and topped it with one coat of Poshe. 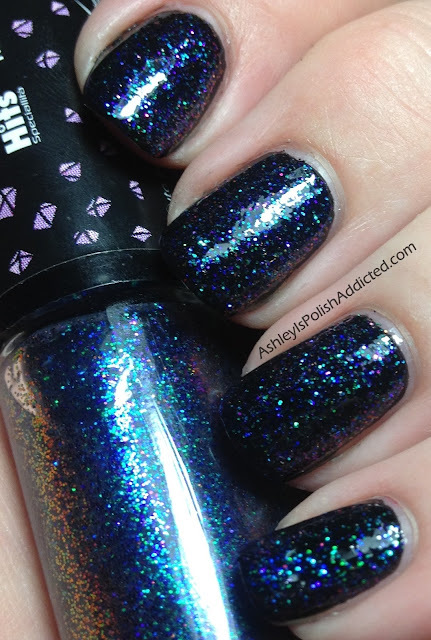 No issues with formula or application and it is not a hungry glitter. 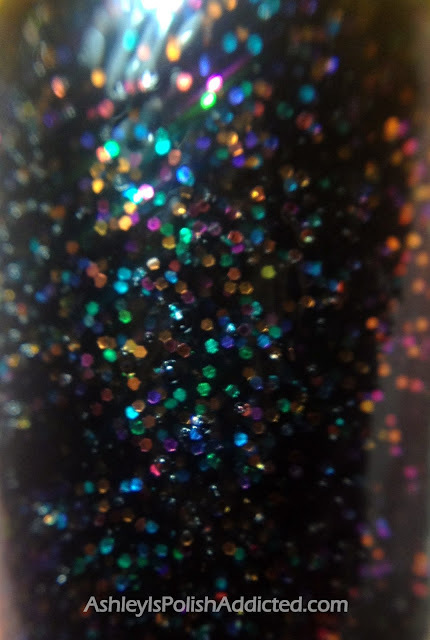 Toxic Galaxy - This one features a rainbow of colors of microglitter in a black base. I have layered one coat over a black creme base. 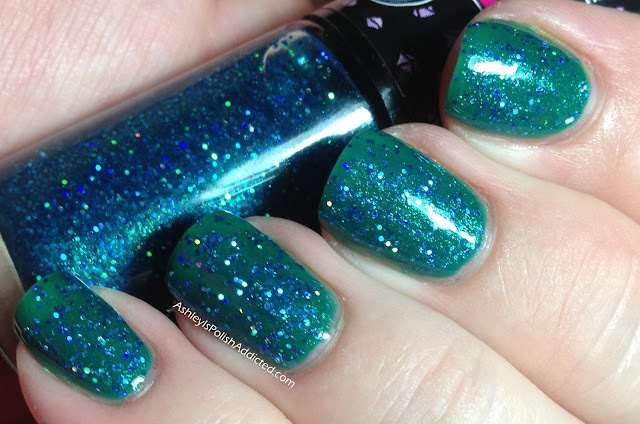 No issues with application with this one but it is a bit glitter hungry and "soaks up": the topcoat as it dries. I started off with one coat of Poshe but ended up using two. 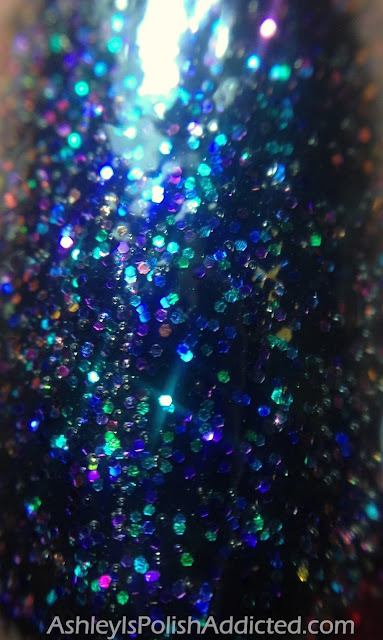 Seapunk Mermaid - The description for this one says pinks and blues but I see mostly blue, green and purple glitter with hints of pink glitter in a clear base. 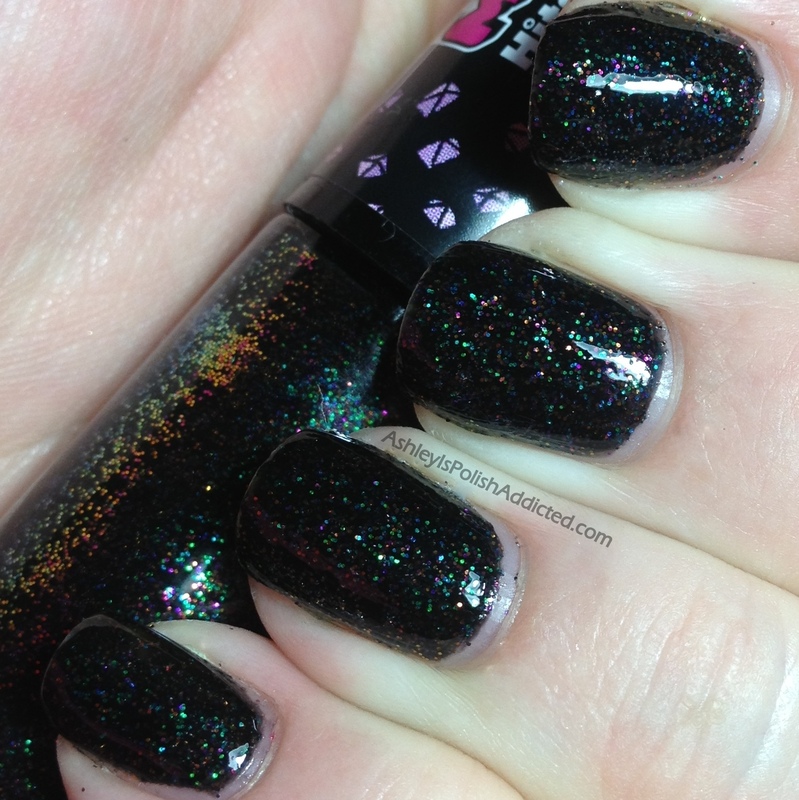 I layered one coat over a black creme and topped it with one coat of Poshe. 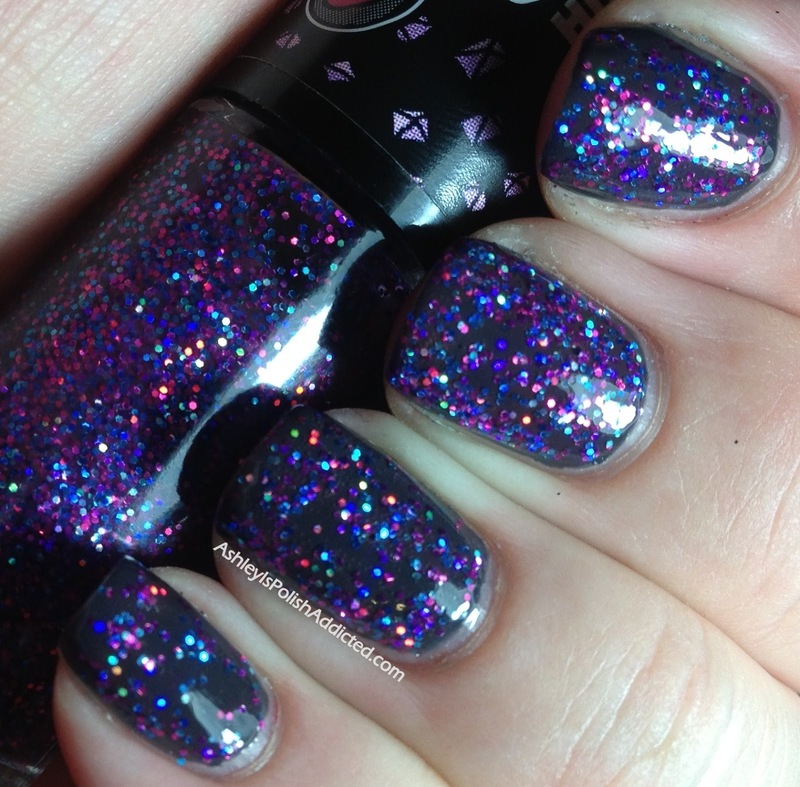 Pinkland Girl - Pink, blue and silver holographic glitter in a violet base. 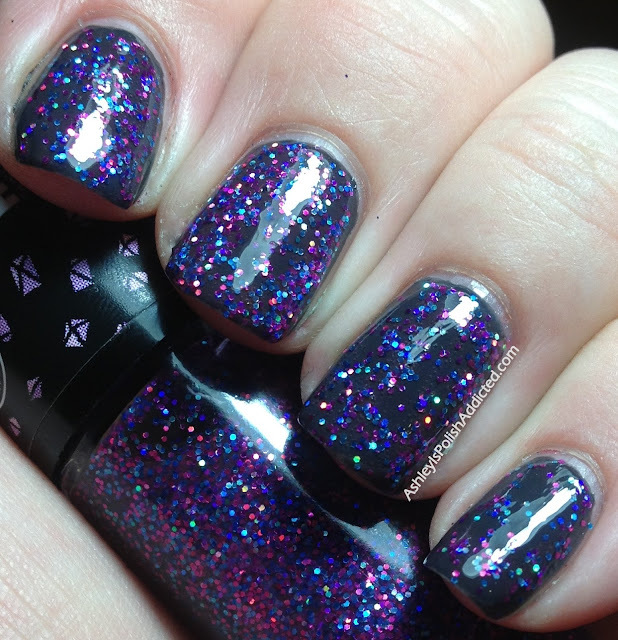 This one is SO sparkly in person! I did my best to capture it but these pics don't do it justice. 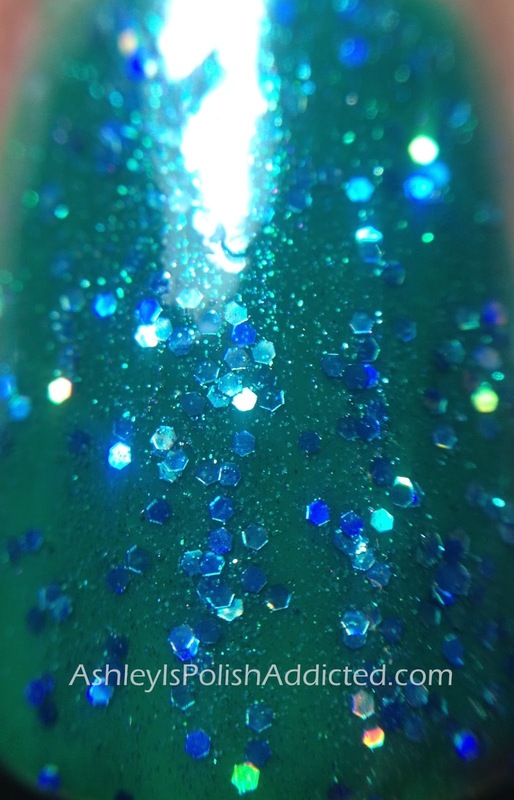 I used 1 coat over a grey creme base and one coat of Poshe topcoat. 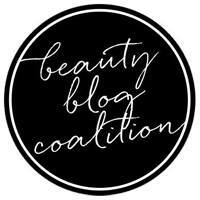 No issues with formula or application at all. What do you think of these? Any favorites? My favorite is Space Grunge followed closely by Pinkland Girl - they are so sparkly and unique! HITS polishes come in 6 ml bottles and are available at Llarowe and Ninja Polish, as well as at Sally Magpies in the UK. 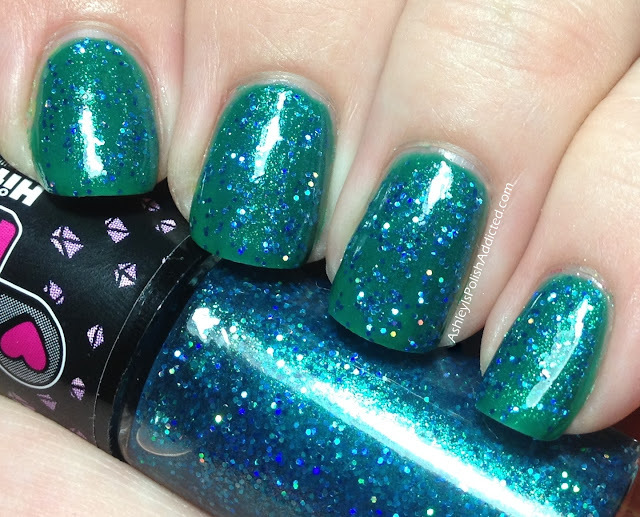 Seapunk Mermaid in an awesome name, and it's a pretty color as well! Toxic Galaxy is also awesome, and Pinkland Girl.